Packed full of sweet pears, sticky dried figs and luxurious whisky, this homemade mincemeat brings new flavours to the Christmas table, while staying festive and spicy. The tiny seeds within the figs contribute too, bestowing a rather pleasing visual element and intriguing textural difference. 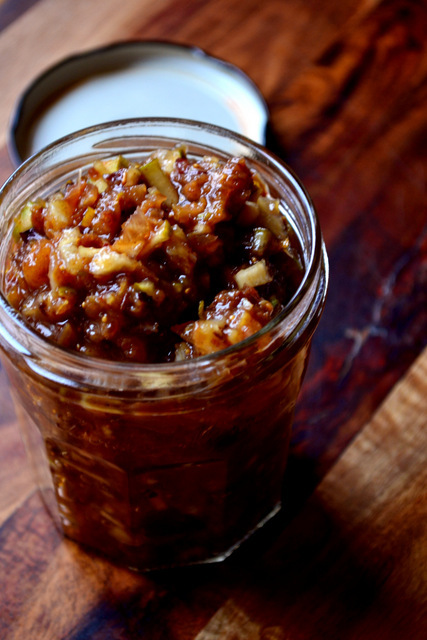 As with my previous recipe for mincemeat, this rendition contains no butter or suet, making for a light, pleasant and absolutely vegan preserve. Mincemeat can all too often weigh its casing down, laced with too much fat and calories already present in the pastry. Obviously you’d like to eat more than one – Santa certainly would – and removing heavy, claggy element makes doing so more pleasant. There might even be room for three (and a glass of port). Finely slice and dice the fruit, cherries and dried fruit. You can use a food processor to quickly chop the dried fruit if you’re short on time. Pop the prepared fruit into a large mixing bowl and tip in the zest of two oranges, juice of one orange, juice of the lemon, the sugar, whisky, cinnamon, ginger and nutmeg. Combine everything thoroughly. Cover the top of the bowl and leave to stand for at least three days, but ideally as long as possible. Make sure that you give it a little mix each day – this will ensure that the fruit absorbs all of the alcohol. Cost: Using 200ml of whisky in your mincemeat may seem like an extravagance, but we’re not talking about your 30 year old prize single malt here. 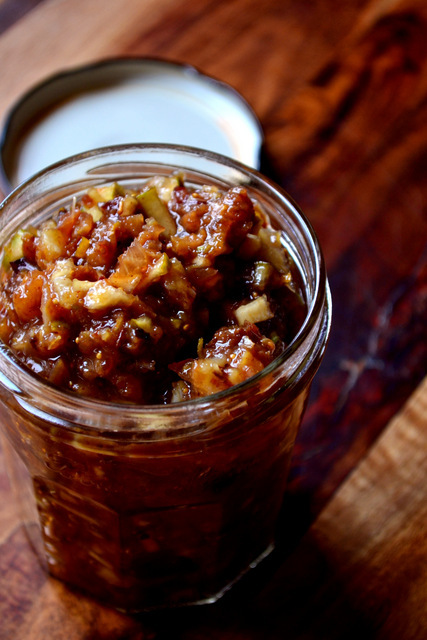 Using an off-the-shelf blended whisky, or similar, you could easily produce these 6 jars of delicious Pear and Fig Mincemeat for as little as £8, or little more than £1.30 per jar. This sounds delicious, I will definitely be making this mincemeat. Thank you, Cathy. Please do, – it’s simple and delicious. I’m intrigued by that, but not sure either. One for next Christmas perhaps. It would certainly cause a stir. Then it had the desired effect! There’s a lot of mince pies in England. I’ll be making some soon. This looks like it needs to be on my holiday table this year! I’m sharing it with my readers, via a link to your blog, in my Life, Inspired column today. Excellent! Thank you very much for the share. I’m sure this is better than any mincemeat I have ever had — my mother used to make the old-fashioned kind with suet. The pears sound like a lovely addition, not to mention the whiskey. I like suet mincemeat, but prefer it without. My grandmother always used suet. Nothing like a slosh of whisky! 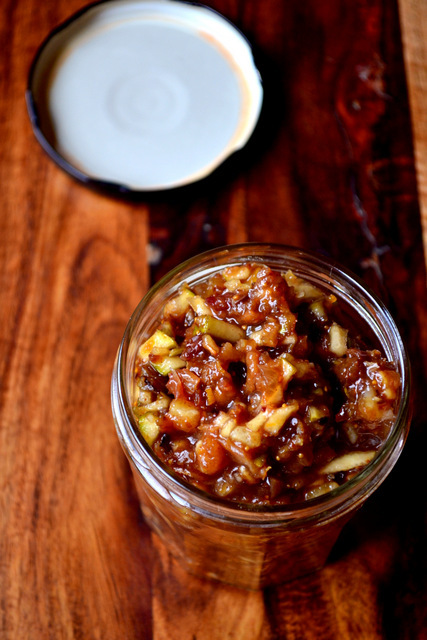 I love mincemeat and it wouldn’t be Christmas without using it in one form or another. I still have quite a few pears from the trees in our orchard in the basement and this sounds like a terrific way of using some of them. Yes, that sounds perfect. I hope you give it a try! Mmm, I love mincemeat, especially with pears! I bet your house smelled amazing! OH it really did! I can’t wait to get mulling! This looks gooooood. I just tried mincemeat for the first time last year (my boyfriend is English) and it was the store-bought time because we couldn’t find a simple recipe…this one looks easy peasy. 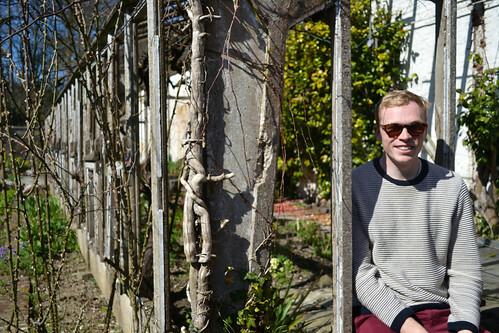 And by the way, thanks for checking out a post on my blog – I appreciate it! I am 70+ years old and I can still remember my Grandma and Aunts homemade mincemeat. YUM! I have made it many times over the years with green tomatoes, suet and a few times with pears. I have 1 pint left. I may have to give this delicious sounding recipe a try! How do you preserve it? Canning or freezing? I just pop it in a jar and then into the fridge!